Does your organization have a wonderful plague on the wall that states your company’s values? If so, do you know them? Or better yet do you live them? Great companies know what they value and they live them and breathe them in everything they do. When making hiring decisions, organizational changes, growth plans; the values come to the table every single time. So why is this important for you as a Manager or Owner? It speaks to who you are and what you wish to attract to your organization and team. If you want employees that are innovative and you say you value innovation but yet you do not reward or recognize new ideas do you value innovation? When you state what you value you must be very clear that is what you will stand by and your actions will be driven by these values. It is a very competitive world in the search for great employees that will drive your targets forward. They will research what you value, what others are saying about you and what your vision is. If their values line up with yours it can be amazing. But if what you say and what you do are at odds you may find you have high turnover or possibly even low profits. Find out what it is that your organization truly values and make it come alive in all that you are doing. Once you begin to operate with integrity around your values, it can become incredibly easy to know what you need in an employee. And if you have an employee who doesn’t line up with those values, then having an honest conversation with them could save you and the employee a great deal of frustration. Employees want to succeed and want to make their employers successful. However, they may not be clear on what you truly value because they have not seen it demonstrated or rewarded. If you value life/work balance and yet you yourself work 12 hour days, what’s the message? Being clear with yourself will assist you in being clear with your team. Then when all members of the team hold the same values and understand how to succeed within your organization they will work towards those goal. Some employees may leave because that does not line up with their values. That is okay because you will attract to your organization what you are looking for because you will know very clearly. The Law of Attraction works personally and professionally. What you focus on expands. 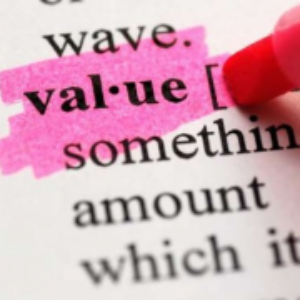 So if you focus on employees valuing what it is that you value it will happen. Be clear, let your actions reflect your values, then allow your employees to put your company values into their everyday working lives and watch the sparks fly!